Piccolino Edinburgh has won the title of 2018 Best Newcomer Italian Restaurant in Scotland based on reviews of independent judges and public votes. 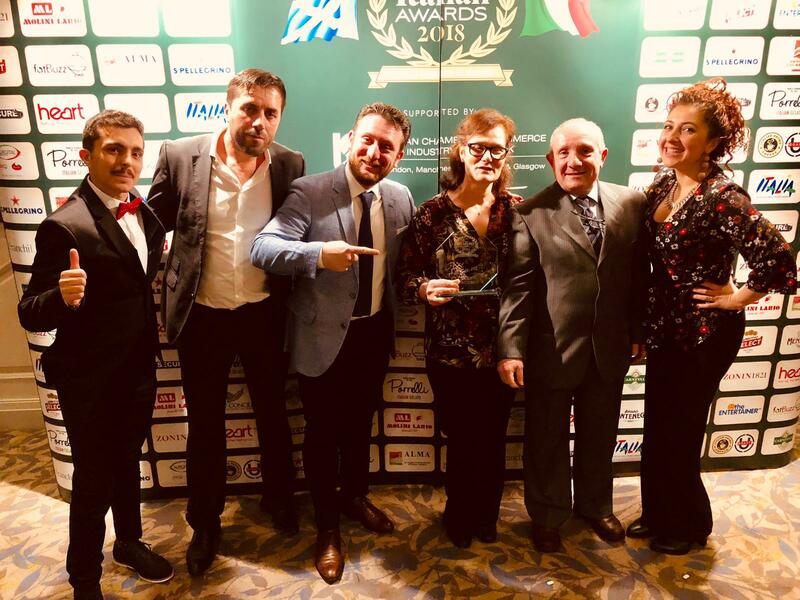 The prestigious award is presented by Amaro Montenegro on Sunday 11th November in DoubleTree by Hilton Ballroom in 6th Annual Scottish Italian Awards Gala Final. Piccolino, meaning ‘little one’ in Italian, serving always freshly prepared, delicious home-made pasta, risotto, tender meat & fresh fish dishes. Piccolino Edinburgh has something for everyone; you can enjoy great selection of classic cocktails as well as sweet Italian treats – just what you need with an after dinner cappuccino! Discover the very best of Italy for a truly sensational food & drinks at Piccolino.